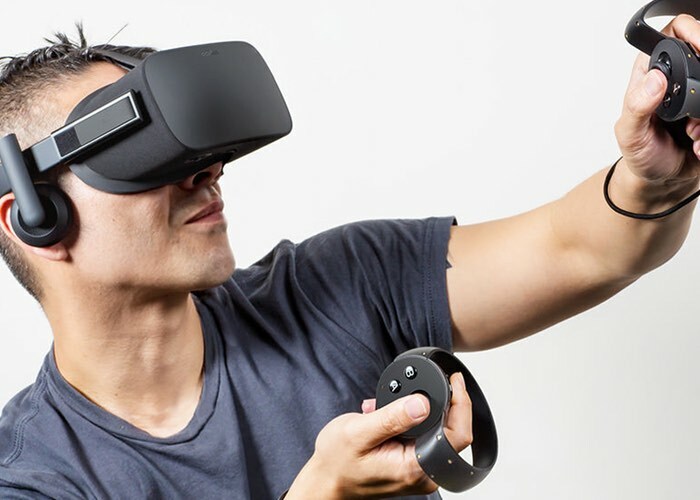 Following on from the announcement that there will be around 30 games available for the Oculus Rift virtual reality headset when it officially launches later this month on March 29th. Oculus has released more details about the comfort zones of each of the Oculus Rift launch games and has labelled them with three levels of Virtual reality comfort which take the form of “intense”, “moderate” and “comfortable”. Watch the video below to learn more about the games that will be available to play from launch on the highly anticipated Oculus Rift virtual reality headset which will be launching just a few days before the HTC Vive virtual reality system which has been designed in conjunction with Valve will launch on April 5th. Both virtual reality systems are now available to preorder with the HTC Vive priced at $799 while the oculus Rift is priced at $599. Sony has also this week unveiled their virtual reality hardware in the form of the PlayStation VR which is priced at $399 and will be launching sometime during October 2016 and will be used in conjunction with the PlayStation 4. 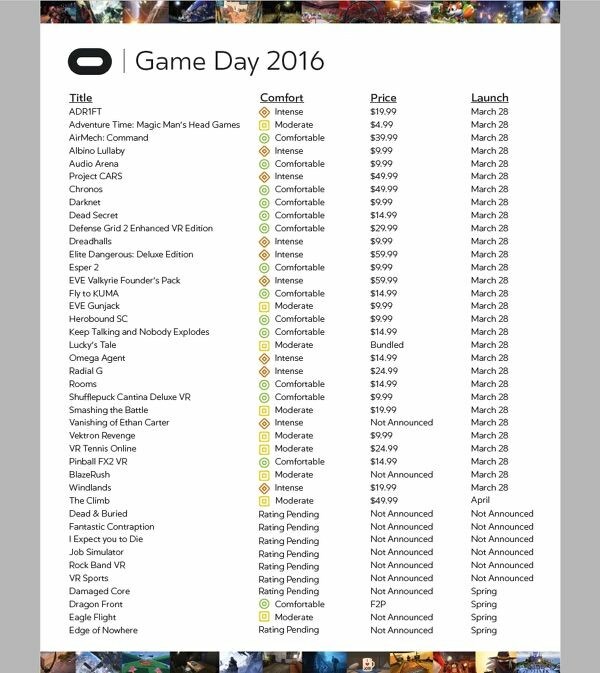 The range of Oculus Rift games that will be available from launch are priced from $4.99 up to $59.99.